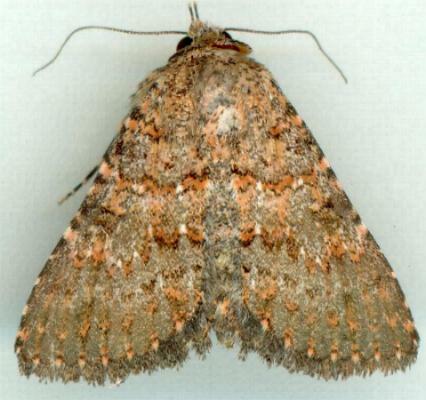 The adult moth of this species has brown forewings each with a subtle pattern. 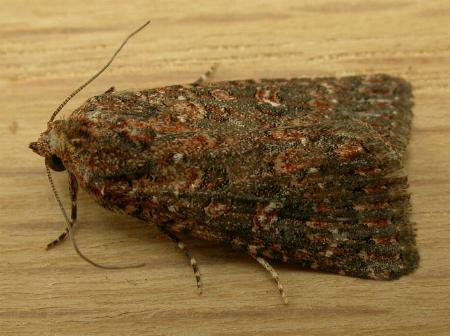 The hindwings are white shading to brown at the margins. The wingspan is about 2.5 cms. Volume 9, Part 5, Section 1 (1852), p. 232.